In september 2018 our team participated at the European Conference on Educational Research (ECER) which is the biggest conference for education in Europe. It is organized each year by European Educational Research Association (EERA). 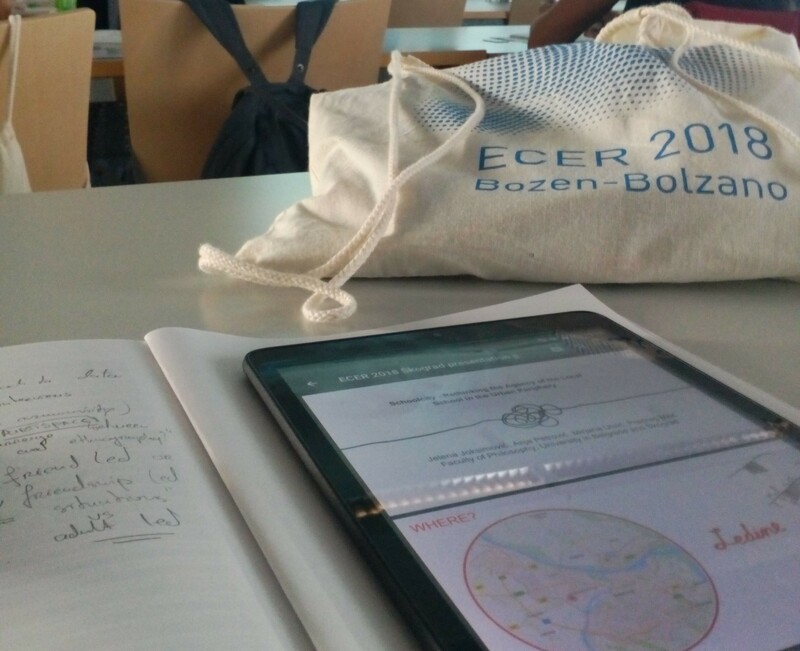 This time ECER was held at the Free University of Bolzano in Italy under the theme: Inclusion and Exclusion, Resources for Educational Research? For Škograd it was an opportunity to share and to disseminate ideas about neighborhood of Ledine and about resilience of the local school. The paper we presented there is titled: Schoolcity – Rethinking the Agency of the Local School in the Urban Periphery, and it was presented as a part of a network called Communities, Families and Schooling in Educational Research. More about our work at ECER and our paper you can find here.